This highly-modern table and chair set will give any room a feeling of high-quality design. 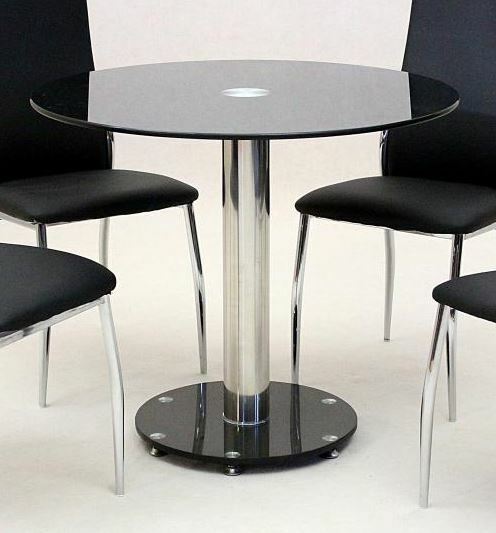 A sleek, black glass table top with chrome central column is sturdy whilst retaining space and simplicity. 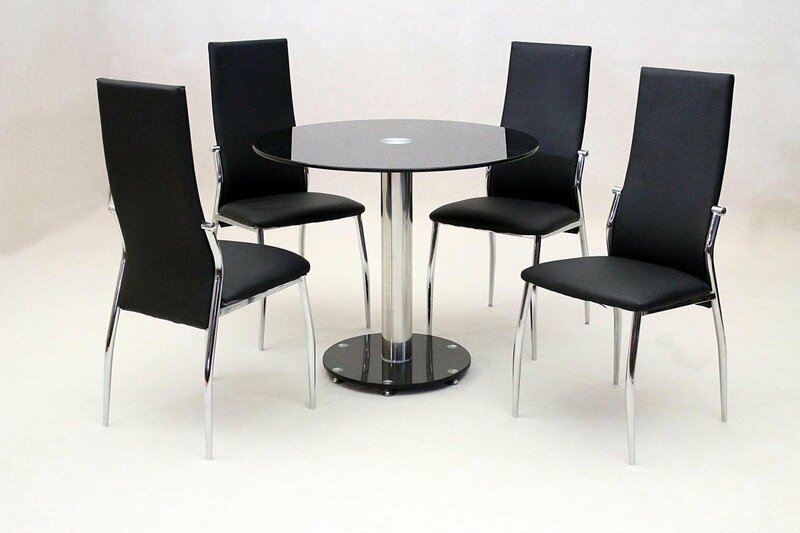 Complete with 4 tall, PU leather chairs that fit perfectly with the table and add class without wasting space. The thin chrome legs add to the simplicity and do not draw attention away from the large and imposing back support. The chairs are available in either black or cream faux leather and both are elegant in their simplicity.